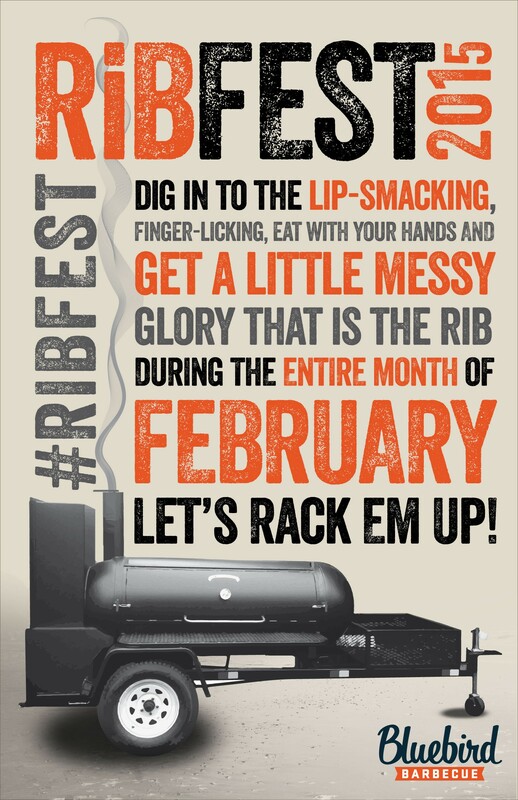 Bluebird BBQ’s Ribfest takes place during the entire month of February. In addition to this poster, promotional material includes Facebook and Mailchimp version, lawn signs, and smaller version of the poster for tables and handouts. Website accompaniments include an event page, landing page, and special call out on the home page of the Bluebird Barbecue website.